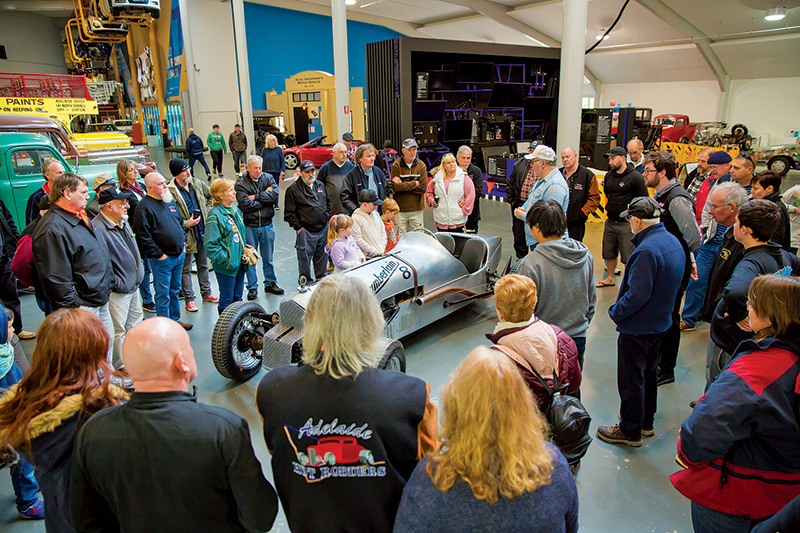 Victoria is recognised as being the first State to have a stuctured hot rod culture that goes back to the late 50s. NSW was also active and SA was not far behind. 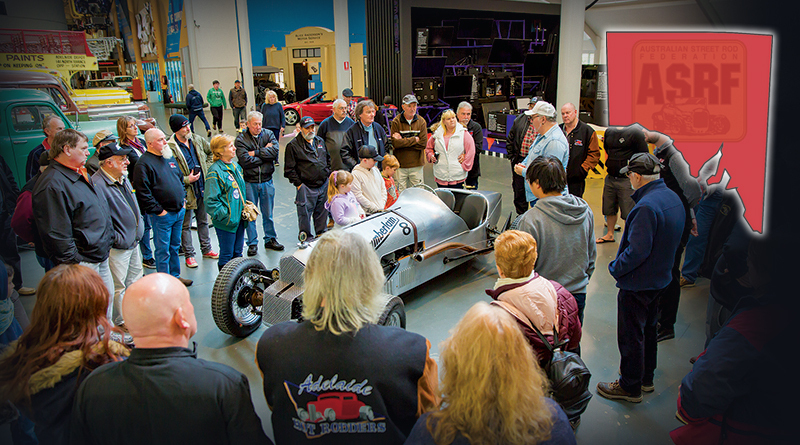 South Australia is lucky enough to have the National Motor Museum at Birdwood. The Director of the Museum, Paul Rees, has been in talks with the ASRF State Council about recording that history with a professional and permanent display. This will hopefully include one early street rod with an opportunity to rotate another, photographs, early films, jackets, badges, and other memorabilia. The museum has of late focused on less cars, but ensuring the stories and history are presented to the public in a professional manner. Paul has some great ideas and funding for the display will be a joint venture. Paul has a one year deadline so we need to get our skates on. By Robert Riggs, ASRF SA. ABOVE: A very rare Australian-built front drive Chamberlain race car that had just been delivered to the Birdwood Mill Museum to become a future feature exhibit.